Mr Foo's Shih Tzu of Indiana, Kentucky, Missouri, Illinios, Ohio, Michigan. 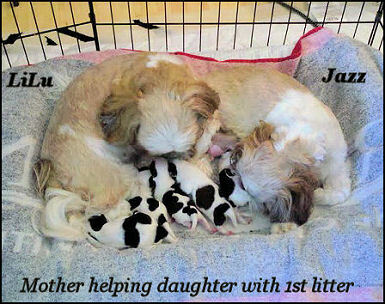 Shih tzu Puppy Nursery. 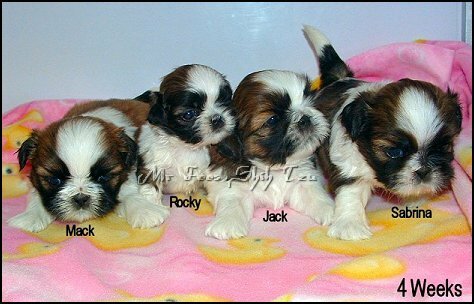 Home Bred Champion Shih-tzu Puppies, Small private Shih tzu breeder in Indianapolis, Indiana, Louisville, Kentucky and St. Louis, Missouri. Mr. Foo's Shih tzu Nursery. Interested in a Puppy...Need more information? Don't forget to check out our Water Bottle Stands!!!! 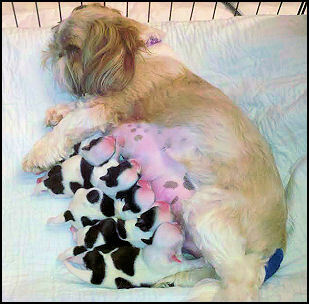 her 1st litter of puppies. Too Cute!!! Mr. Foo's Shih tzu Nursery!!! If you are looking for something specific you can let me know as I may be able to put you in touch with someone that may have a puppy that would meet your needs. Puppies in pic above are not available. THANK YOU for visiting Mr. Foo's Shih~tzu!! !